Nowadays, becoming a DJ and actually recording your own audio or video mixes is not as hard as it used to be a few years back; thanks to advancements in computer technology and innovative software developers. As long as you have a modern computer or laptop, you can make DJ mixes or even entertain people in an event using DJ software, with or without turntables and mixers. However, there are many different DJ Mixing Software programs, some of which are designed to sync with DJ mixing equipment such as turntables and DJ controllers. A good number of mobile-friendly DJ apps are also available. When choosing particular software, there are obviously some things to consider. Some of these factors include the ease of use (user-friendliness), the number of functions and features, specifications, the resulting sound quality, and of course, the cost. Below are a few DJ mixing software you should know about, especially for beginners in the art. Serato DJ is one of the most praised DJing software out there, mostly for its reliability when it comes to interface user-friendliness, responsiveness in real time, and beat-mapping convenience. The software comes with a variety of skins that allows you to operate up to 4 track decks simultaneously. There are different colors for different waveforms, to enable the user to better identify the audio frequencies when a song is playing. You can easily sync it with your DJ controller, manipulate track tempos, sync your tracks, set loops up to 32 beats, set up to 8 cue points, and do much more. It has a nice interface that even a pure beginner DJ can understand within a short period of time. With Serato DJ, you can record mixes, play live, add sound effects, include samples, and make the most out of your Djing time using the software only or in conjunction with a DJ controller. Serato DJ can be used on both windows (7 and up) and Mac OS X (10.6) with a minimum of 1GB RAM on Mac and 2GB RAM on Windows 32 bit, 2.0 GHz processor speed minimum. From Atomix, Virtual DJ is another highly popular DJ Mixing Software, which is used by all, from college students having fun to professional DJs and hobbyists. With virtual DJ, you can play two tracks or more at the same time, loop, adjust track tempos, adjust pitch, apply effects, crossfade from deck one to deck two, set cues, and among many other features, record music mixes, both video, and audio. There are various versions of virtual DJ software available, each with different capabilities and looks. However, you can always choose a skin that best suits you, especially if you are used to an earlier version of the software. What’s more, the software also allows you to include customer audio samples and effects. 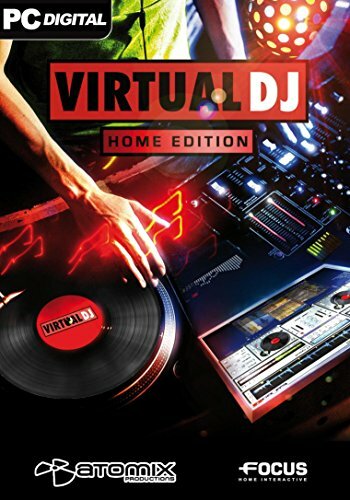 Virtual DJ is one of the easiest DJ software for beginners in the market, especially since it includes a free version that allows you to use most of the features. Created by Native Instruments, Traktor Pro 2 is also popular DJ software, especially for professional disc jockeys. This top-end DJ software is renowned for its high level of flexibility when it comes to the features and performance. 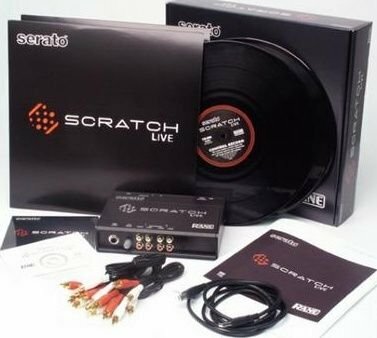 It also comes with a wide range of quality control and operation features, which allow easy, yet advanced scratching, syncing, looping, cueing, remixing and recording. 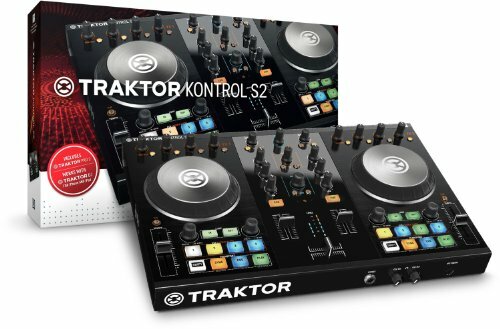 The Traktor Pro can be used with computer only and is also compatible with a wide variety of DJ controllers in the market. There is also a sister version called Tractor Scratch. Traktor DJ software can be used on both MAC and Windows OS. On Mac, it requires OS version 10.1 and above while windows 7 and above is needed on PC. It requires at least a processor speed of 2.0 GHz, Intel Core i5, and 4 GB RAM on both operating systems. There are many other DJ mixing software and mobile apps, some of which are available for free download. Other good examples include Mixxx, UltraMixer, DEX 3 LE, and DJ ProMixer. It’s all about trying several software programs, reading reviews and choosing the one that works best for you.